An intimidating storm brought fierce winds to Lower Cathedral Valley. 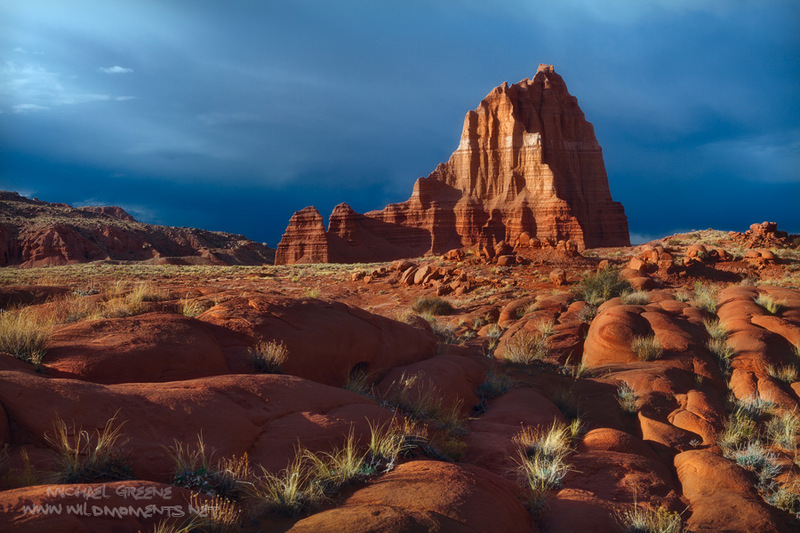 Brilliant sunlight and ominious clouds set the stage about an hour before sunset in Capitol Reef in early April. Tragically, this was the last image ever captured with my favorite lens as it was destroyed by 60mph wind gusts that toppled my tripod. Photo © copyright by Michael Greene.